NEW YORK – January 24, 2019 – The government of Liberia, in partnership with EcoHealth Alliance and the Center for Infection and Immunity (CII) at the Columbia University Mailman School of Public Health, have found Ebola virus in a bat in Liberia. This is the first finding of Zaire ebolavirus in a bat in West Africa, adding to other evidence suggesting bats serve as a natural wildlife reservoir for Ebola and other related viruses. Scientists found both genetic material from the virus and ebolavirus antibodies against it in a Greater Long-fingered bat (Miniopterus inflatus) in Liberia’s northeastern Nimba District. 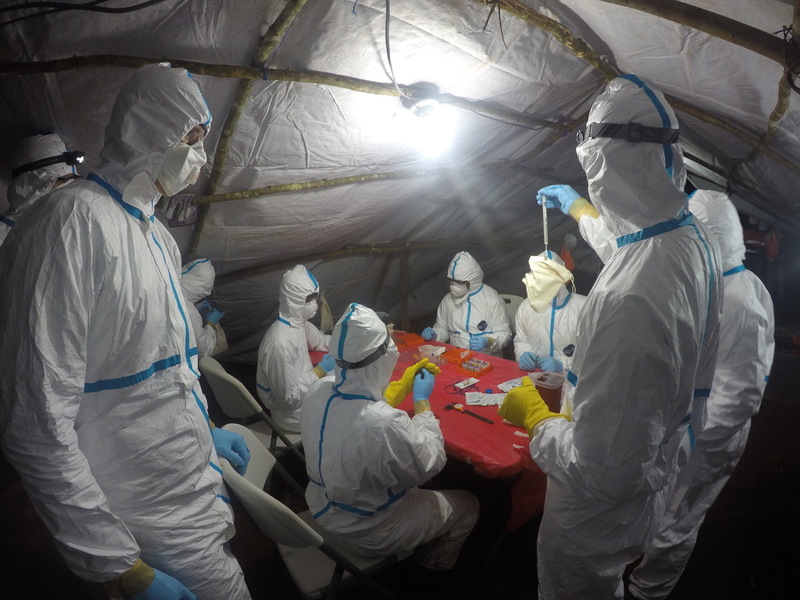 EcoHealth Alliance, a nonprofit working at the intersection of animal, environmental, and human health on a global scale, has been actively working in Liberia since the end of the West African Ebola epidemic in 2016. This work is a part of the USAID PREDICT project, which aims to better understand the animal reservoirs, seasonality, and transmission of viruses that can cause epidemic diseases. There are six species of Ebola virus and Zaire ebolavirus is the one responsible for causing the West African Ebola epidemic which infected nearly 30,000 people between 2013 and 2016. 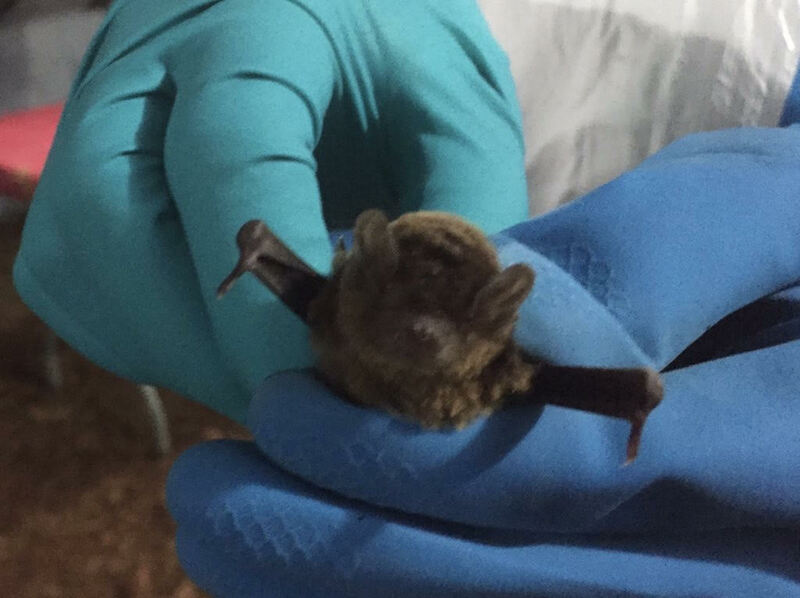 Researchers at CII are working to determine whether the strain found in the bat is exactly the same one associated with the 2013-2016 outbreak. The evidence so far, from about 20 percent of the virus’ genome, suggests that it is closely related. Zaire ebolavirus is also responsible for the ongoing outbreak in the Democratic Republic of Congo, which is now the second deadliest Ebola outbreak in history. No human cases of Ebola are linked to this discovery and Liberia has remained free of any new human cases since the end of the 2013-2016 outbreak. However, this finding brings us closer to understanding where human Ebola cases come from. "This discovery is a major step forward in understanding how Ebola outbreaks happen," EcoHealth Alliance Vice President for Science and Outreach Dr. Jonathan Epstein said. Dr. Epstein also serves as lead for USAID-PREDICT in Liberia. "The West African Ebola epidemic was devastating, and it began with a single transmission from an animal to a person. It’s critical that we identify which animals naturally carry Ebola and related viruses: without knowing that, we can’t truly understand and reduce the risk of another outbreak occurring in the region." "There have been unanswered questions about the source of Ebola outbreaks. There was speculation that they may have originated from bats, but there was no direct evidence," Simon Anthony, D.Phil, assistant professor of Epidemiology in the Center for Infection and Immunity at the Columbia University Mailman School of Public Health, who led the laboratory discovery, said. "A critical element in this discovery, was VirCapSeq-VERT, a tool invented at the CII that improves the sensitivity of next generation sequencing 1,000-fold. It is possible that there are also other bat species that carry Ebola. Going forward, we will be analyzing additional specimens to fill in the picture." The search for wildlife hosts for filoviruses like Ebola is a part of USAID’s PREDICT project, an international initiative to conduct surveillance and build local capacity to detect novel and known zoonotic viruses in nature so that countries are better prepared to prevent and respond to outbreaks. 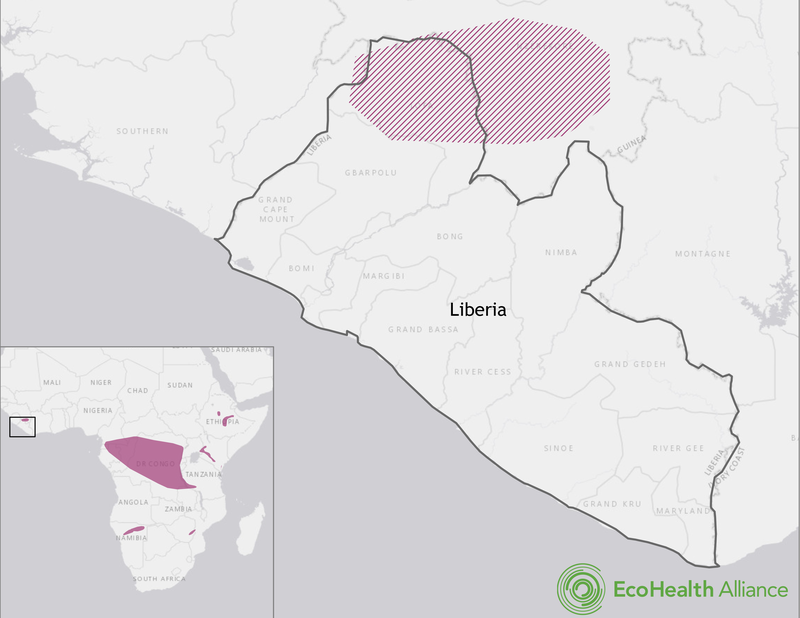 EcoHealth Alliance’s partners in the discovery include the Society for the Conservation of Nature, Liberia; the National Public Health Institute of Liberia; the Forest Development Authority; the Liberian Ministry of Agriculture; and Center for Infection and Immunity (CII) at Columbia University Mailman School of Public Health, and the University of California, Davis, which leads the PREDICT Consortium. Ebola virus belongs to the Filoviridae family which also includes the Marburg and Cueva viruses. Like other zoonotic diseases (SARS, influenza, and rabies), Ebola virus is harbored by a natural animal reservoir, in Ebola’s case believed to include one or more species of bat, based on previous scientific studies. Prior Ebola outbreaks in Central Africa have been associated with deforestation and bushmeat hunting, where human cases were linked to contact with and consumption of chimpanzees, gorillas, and duikers that were infected. These animals were also victims of Ebola virus and it’s still a mystery as to exactly how they were infected. However, there is substantial evidence that filoviruses, such as Ebola and Marburg virus, are carried by bats. Marburg virus was recently discovered for the first time in Sierra Leone in its known bat reservoir, but it has historically been difficult to identify bats infected with Ebola virus. Bats play a critical role in ecosystems around the world, by removing pest insect species and pollinating fruiting trees, for example. The finding of Ebola virus in a bat should not be taken as a reason to exterminate, remove, or harass bats in their natural environment. In fact, previous work shows that efforts to remove wildlife populations can lead to enhanced disease spread. "The government of Liberia has been not only a committed partner, but is working proactively to prevent further Ebola infections in the country," EcoHealth Alliance President Dr. Peter Daszak said. "When we shared this discovery with them, they mobilized immediately to share these findings with their citizens. This is the correct ethical strategy, even though the scientific paper reporting the findings is not prepared, and we fully support the release of this information now. For the government to now be able to offer specific guidance so as to protect people’s health is critical. Past experience has shown that simply telling people not to eat bats is neither practical nor effective. Helping them live safely with bats is." Greater Long-fingered bats are found throughout parts of West Africa and other regions. They are an agriculturally important species in the area, as they eat insects which do damage to crops. Additionally, they do not tend to roost in homes or buildings, as some bats do. Instead they are found in forests, caves, and mines which makes preventing contact with them easier by avoiding entering caves or mines. The Liberian government is working to engage local communities about this finding to help reduce the possible risk of exposure and educate people about the positive impacts of bat species on pest control and the environment. Further testing is underway to determine whether or not the virus detected in this bat is the same strain which caused the West African Ebola epidemic. EcoHealth Alliance is also working with partners to understand how commonly these bats or other bat species may be infected with Ebola virus and whether there are any seasonal patterns to infection in bats, all of which helps understand risk to people and will inform public health strategies designed to prevent another Ebola outbreak. "This discovery is the result of an extraordinarily productive partnership between the government of Liberia, CII, EcoHealth Alliance, and UC Davis," CII Director Ian Lipkin, MD, said. 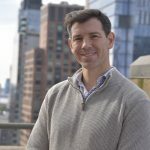 "It builds on years of investment and methods established under the auspices of the National Institute of Allergy and Infectious Diseases in biodefense and emerging infectious diseases." Building on over 45 years of groundbreaking science, EcoHealth Alliance is a global nonprofit organization dedicated to protecting wildlife, environmental, and public health from the emergence of disease. Approximately 60 percent of emerging infectious diseases like Ebola, HIV, Zika, SARS, MERS, and West Nile virus have all originated in animals before spilling over to human populations. Using environmental and health data covering the past 60 years, EcoHealth Alliance scientists created the first-ever global disease hotspots map that identified at-risk regions to determine where research and field work are needed to help predict and prevent the next pandemic crisis. That work is the foundation of EcoHealth Alliance's rigorous, science-based approach working in nearly 30 countries worldwide. EcoHealth Alliance's strength is founded on innovations in research, training, global partnerships, capacity building, and policy initiatives. Our health, our environment, our world: it’s all connected. Get health and environment news updates like this delivered right to your inbox when you sign up for our newsletter. "With over 75 percent of emerging infectious disease originating in wildlife, it's critical that we recognize the importance of understanding the relationships between humans, livestock, wildlife and our environment. Disease spillover is not a malicious act of wild animals, rather an unfortunate consequence of people continuing to put pressure on ecosystems, creating increased contact with wildlife through urbanization, agricultural expansion, travel, and trade. The majority of emerging zoonotic diseases can be linked to human activities, and that's where we need to focus our efforts in order to prevent the next pandemic."